This entry was posted in Book Updates, Reviews, and Interviews on December 13, 2018 by Sherri. Sincere thanks to Tammy Ayer of the Yakima Herald for interviewing me about silent screen siren and Yakima, Washington, native Barbara La Marr and my biography, Barbara La Marr: The Girl Who Was Too Beautiful for Hollywood. The article may be viewed here. This entry was posted in Book Updates, Reviews, and Interviews on September 18, 2018 by Sherri. Join me, Sherri Snyder, for an afternoon of legendary silent screen siren Barbara La Marr and swashbuckling adventure at the Egyptian Theatre on Saturday, March 24. I will be portraying Barbara in a self-authored performance piece, then lecturing about her, spotlighting her tragically short, oftentimes scandalous life, notable career, and impact upon cinematic history. 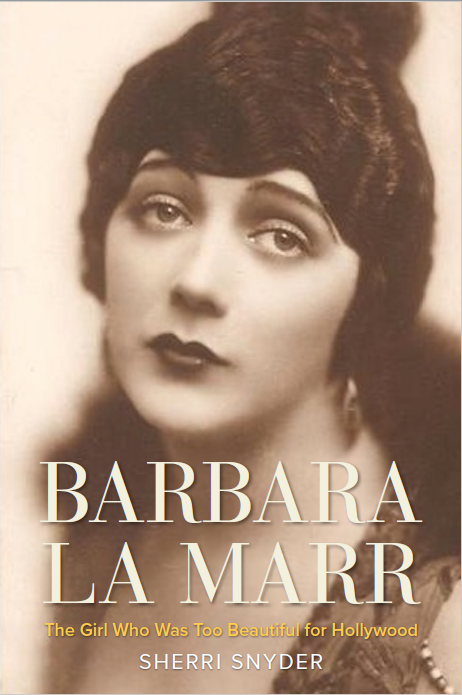 I will also sign copies of my recently released book, Barbara La Marr: The Girl Who Was Too Beautiful for Hollywood. A screening of the 1921 box office sensation The Three Musketeers, starring Douglas Fairbanks, Marguerite De La Motte, Barbara La Marr, Nigel De Brulier, and Adolphe Menjou, will follow. Click here for details and tickets. Barbara (as the villainous spy Milady de Winter) and Douglas Fairbanks (as the gallant D’Artagnan) in The Three Musketeers. 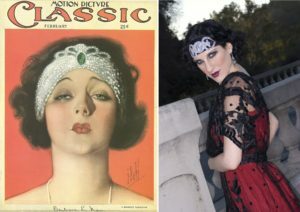 This entry was posted in Barbara La Marr Book Signings and Lectures, Book Updates, Reviews, and Interviews, Performances as Barbara La Marr on March 6, 2018 by Sherri. Classic Movie Hub invited me to contribute a guest blog for their website. In my post, “Barbara La Marr: Life on Her Own Terms,” I discuss Barbara’s commendable talents and her unbending determination to succeed in life, despite myriad obstacles and frequent association with scandal. Read it here. This entry was posted in Barbara's Early Years, Barbara's Film Acting Career, Barbara's Quotes, Barbara's Screenwriting Career, Book Updates, Reviews, and Interviews, Uncategorized on December 11, 2017 by Sherri.